Manufacturer & Supplier of Stainless Steel 321 Pipe Flanges, SS 321 Slip on Flanges, Steel UNS S32100 Lap Joint Flanges, Stainless 321 Blind Flanges Exporter in India. We, Neon Alloys well organized firm in the world market, highly involved in manufacturing & exporting of Stainless Steel 321 Flanges that is fabricated from High Quality Raw Materials. These flanges can be availed in various forms, such as SS 321 Pipe Flange, SS 321 slip on, SS 321 Socket weld, SS 321 Blind, SS 321 Lapped, SS 321 Screwed, SS 321 Weld neck, SS 321 Reducing, SS 321 Spectacle, SS 321 Slip on etc. 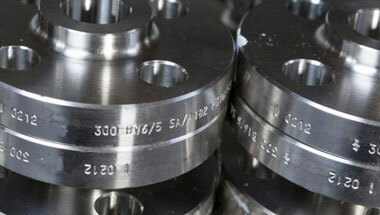 SS 321 Flanges are utilized as a part of a combination of modern purposes and are chiefly used to interface channels. At manufacturing levels of these SS 321 Flanges, our quality controllers perform a series of testing procedures at every stage of production to eradicate any possible defect from. Some important properties of SS 321Flanges are High resistance to corrosion, Excellent resistance to oxidation, Good creep strength, High resistance to organic chemicals and inorganic chemicals, Can be readily formed and drawn, Improved resistance to inter-granular corrosion, and Strong resistance to nitric acids and moderate resistance sulphur acids. Stainless Steel 321 Flanges Manufacturer, SS 321 Plate Flanges, Steel WNR 1.4541 DIN/ASME Pipe Flanges, SS UNS S32100 Socket weld Flanges Suppliers in India. Nigeria, Germany, Russia, Trinidad and Tobago, Kuwait, Sudan, Angola, Israel, Malaysia, Algeria, Argentina, Democratic Republic of the Congo, New Zealand, Azerbaijan, Iran, Ghana, Tunisia, Thailand (Bangkok), Africa, Cameroon, Italy, Morocco, Jordan, Turkey, London, Venezuela, Australia, Dubai, United States, Mexico, Colombia, Mozambique, Ethiopa, Indonesia, Bahrain, Kazakhstan, Canada, Chine, Peru, South Africa, Saudi Arabia, Houston, UK, Sri Lanka, UAE, Vietnam, Brazil, Uganda, Iraq, Egypt. Dammam, Addis Ababa, Port Harcourt, Colombo, Giza, Sharm el-Sheikh, Brazzaville, Subra al-Haymah, Istanbul, Dakar, Antananarivo, Amman, Soweto, Ouagadougou, Benin, Aqaba, Muscat, Freetown, Cairo, Casablanca, Hong Kong, Fez, Bulawayo, Lubumbashi, Cape Town, Ibadan, Jeddah, Accra, Pretoria, Doha, Kano, Johannesburg, Cairo, Lagos, Kampala, Data from the UN, Kinshasa, Durban, Khartoum, Mbuji-Mayi, New York, Algiers, Abu Dhabi, Maiduguri, Bamako, Jerusalem, Zaria, Lusaka, Kolwezi, Kaduna, Rabat, Mecca, Dar es Salaam, Douala, Alexandria, Manama, Riyadh, Tripoli, Yaoundé, Omdurman, Harare, Nairobi, Beirut, Mogadishu, Tehran, Conakry, Bethlehem, Abidjan, Singapore, Luanda, Port Elizabeth, Dubai, Maputo, Tel Aviv, Byblos.